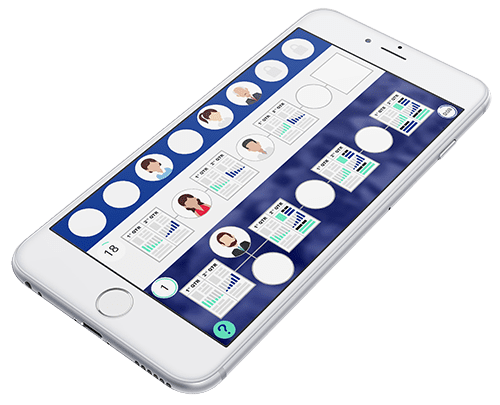 Talegent Gamify is the first-ever realistic game-based simulation assessment that is directly relevant to your company and the roles you are looking to fill. Now you can differentiate your company like never before by offering candidates an experience that is not only totally engaging but also allows you to communicate your unique brand and culture. Using sound psychometric science, it allows you to screen based on key competencies including Learning Agility. Responses are measured in terms of key competencies. Reduces or eliminates the need for assessment centres. Simulations are customized to your organisation’s job roles, culture and employer brand. "The test was pretty enjoyable imo. All about logic no comprehension or math bull lol…." "The online testing…very cool and different which I enjoyed." "Yep loved this type of test." "Had a lot of fun in the testing, prefer this to any other type of testing." The gamified assessment had lower drop out rates compared to the traditional assessment campaign.